When you picture Africa, chances are you are specifically picturing Kenya. Kenya is the location of the majority of the iconic reservation parks as well as the instantly recognisable Mount Kenya that dominates the background of most people’s mental images of Africa. Several of the more famous African tribes also call Kenya their home. The Maasai tribe are native to Kenya as well as a large portion of the Swahili people. Even though Kenya is the quintessential view of Africa, it should not be assumed that Kenya is made up entirely of savannahs and huts. There are many cities in Kenya, the largest of which is the capital city, Nairobi, also known as ‘The Green City In The Sun.’ A skyline view of Nairobi looks indistinguishable from any mid to large sized western city. For this reason Kenya is a great destination for both animal enthusiasts and those who want to enjoy a city break in somewhere a bit less obvious. Nairobi is actually the only city in the world that has a national park in its borders that contains live game, making it the best of both worlds. There are a number of hotels in Kenya, from cheap hotels to beach hotels, there is something to suit everybody and every budget. Plus, with our exclusive Travelbag discounts we can help to stretch most budgets in order to allow more people to be able to afford to stay at some of the best hotels in Kenya. There are a range of hotels in Kenya. 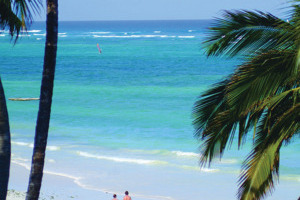 All of which are great value and the majority of which are located near Kenya’s beautiful, golden beaches. For someone looking at a more relaxing family holiday the choice is really between Leopard Beach Resort and Spa and Turtle Bay. Leopard Beach features top class relaxation facilities as well as a highly rated kids club to keep the little ones entertained whilst the adults enjoy the spa. Turtle Bay is the ideal beach hotel, with the majority of rooms coming with a breathtaking ocean view and the hotel itself being within walking distance of Watamu Marine Park it is easy to explore the local lagoons and coral. Those who wish to see more of the African way of life should look into the Papillon Lagoon Reef. A fantastic hotel decorated in the traditional Swahili style, complete with friendly colobus monkeys in the grounds. Those who want to go for the most action packed holiday possible can stay at the Baobab Beach Resort, which offers such activities as diving, big game fishing and glass bottom boat trips, all within the resorts grounds. Savannah safaris. Enjoy a trip around the savannah with a professional guide and hopefully see the Big 5 African animals: the lion, leopard, elephant, buffalo and black rhinoceros. Hike up Mount Kenya. At 4,986m above sea level, it is utterly bizarre to be on a snow topped peak in the middle of the hottest continent on Earth. Sample some nyama choma, the authentic local style of grilling meat. Whatever you choose to do with your time in Kenya, book your 2019 or 2020 hotel stay with us today and make sure your accommodation is as memorable as the activities you enjoy while you’re there. Here is just a selection of our favourite and cheapest hotels in Kenya. Please use our search panel above to find your perfect choice. 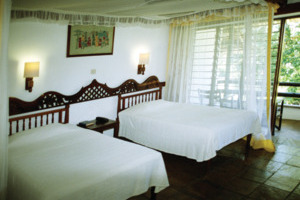 This is a comfortable resort decorated in traditional Swahili style. It stands in exotic gardens inhabited by colobus monkeys, and makes the most of its beachside location by offering watersports, coral-reef diving, and other activities. 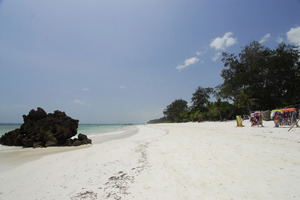 Just 32km from Mombasa on Diani Beach, a stay here is easily combined with a ... safari. The boutique Pinewood Beach Resort & Spa is a utopian escape located at the spectacular Diani, a veritable paradise for guests looking to indulge in the beauty and splendour of Kenya’s South Coast. The resorts modern design and luxurious setting intertwines with the surrounding magnificence, creating a serene ambiance that ... permeates every inch of the area, from each of the exquisite dining venues to the many facilities on hand, each aimed at entertaining or soothing adventurers of all ages. Sporting 58 guestrooms and suites, all beautifully furnished with the utmost comfort and style in mind, guests will ease back into a state of sheer bliss in no time during their stay in this renowned Mumbai destination. Revelling in its highly enviable location upon Diani Beach along Kenya’s Southern Coast, the Leopard Beach Resort & Spa is an enchanting paradise that has become renowned with international business and leisure travellers alike due to its excellent level of service, high quality facilities, and immeasurable amounts of luxury. The ... resort houses plenty of soothing facilities and entertainment outlets for all ages, so kids can have fun with their peers while the adults relax at the spa or by the poolside, catching up later in one of the numerous dining venues that serve only the tastiest dishes. Each of the 158 stunningly furnished guestrooms, suites and villas set the perfect scene for a heavenly holiday, filled to the brim with lavish furnishings and elegant decor, setting the scene for a heavenly holiday beneath the Kenyan sun. Located just an hour's drive from Mombasa, the Baobab Beach Resort on the south coast is the perfect addition to any Kenyan Safari. Sitting in a prime clifftop location surrounded by forest, the resort offers a range of activities for guests, including including snorkeling, diving, big game fishing and glass-bottom-boat ... trips. Those who prefer to take things easy can make the most of the stunning stretch of coast as they relax on the beach or by the pool, while most rooms also face the sea to ensure you'll be able to make the most of the impressive views. The Sarova Whitesands Beach Resort & Spa is set in 22 acres of magnificent tropical gardens, on the longest beachfront on Kenya’s North coast. With a charming outdoor spa, five free-form swimming pools, a children’s pool, kids’ club with scheduled entertainment, water slide and watersports all guests are assured of ... a fantastic experience in this beautiful haven. 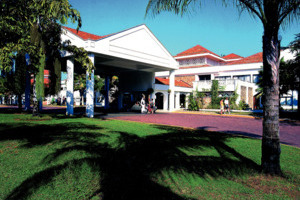 This resort is excellent value, with something to please all members of the family and lots of activities to enjoy. 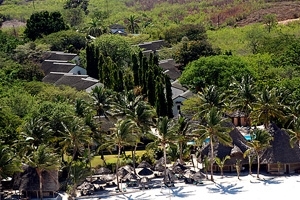 Located on the fringes of Kenya’s Watamu National Park and fringed by 200m of beautiful white sand beach, Turtle Bay Resort is a superb value Africa holiday choice for couples and families alike. With its comfortable and spacious accommodation and generous facilities, which include three restaurants, a large swimming pool ... and the children’s activities, Turtle Bay Resort has much to offer. 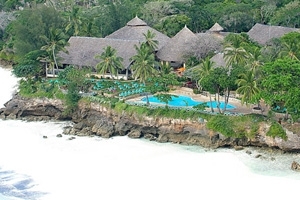 Better still, Turtle Bay Resort’s proximity to Watamu Marine Park makes it ideal to go exploring the lagoon and coral.